Sylph. Bunch Mighty Midget (kit) powered. 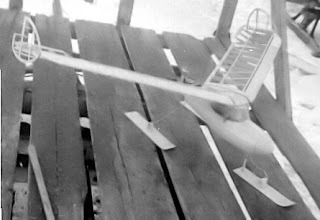 Original design 1940. I designed the Sylph during the Christmas vacation (high school) 1940. 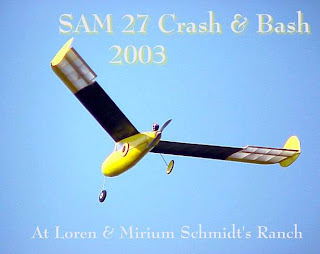 It was inspired by a picture of a flying wing model that appeared in Model Airplane News (photo by Kulick). 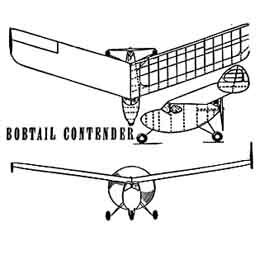 That model was the "Bobtail Contender." It is surprising how much the Sylph looks like the Bobtail Contender. 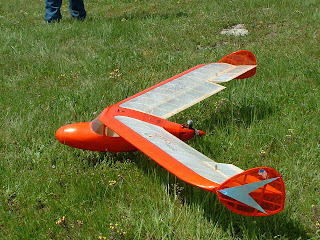 The original Sylph was powered with a Bunch Mighty Midget that I bought as a kit for $7.85. I really don't remember too much about it or what became of it. The plans were drawn in ink on shelf paper (I still have them). They were copied and approved as Old Timer by SAM. Jim O'Reilly has the plans and Bob Holman kits a 1/2A Texaco version. 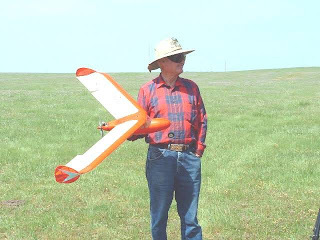 I have since built one that I flew in 1/2A Texaco and another powered with a Burford Elfin for A ign. LER (the yellow one). That's all I have off the top of my head. 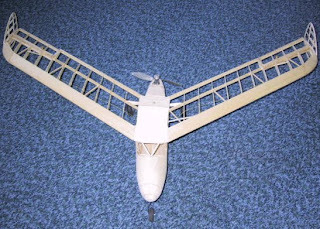 Does the Sylpf and other wing designs use elevators and rudders or elevons? 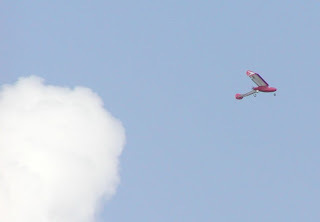 I'm interested in Waterman Aeromobile.